Mr Jean HUGEL, you are one of the French members of the Henokiens Association. Could you please introduce yourself to our readers?  > Jean HUGEL : My name is Jean Hugel, I was born on 28th September 1924. I entered the family business in 1948 and was joint Managing Director with my 2 brothers when I retired in September 1997. I am still a Board member of Hugel S.A. I qualified in 1948 as an Agricultural Engineer (Montpellier) and I am also a qualified Œnologist. The French Government awarded me two distinctions "Ordre du Mérite" and "Officier du Mérite Agricole". Could you introduce your company and its activities? > JH. : We are a family business, established here in Riquewihr, Alsace, France, since 1639, and we have been winegrowers for 12 generations from father to son. Our ancestors were both winegrowers and coopers and many of their oak casks are still in daily use here in our cellars after almost 150 years. Our oldest cask is named "Saint Caterine" and dated 1715. The Guinness Book of Records tells us that it is the oldest barrel in the world still in use. In 1896 we became wine merchants, supplementing the production of our own vineyards with grapes grown under contract by other local growers. 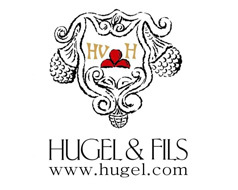 Our limited company, Hugel & Fills S.A., was established in 1935 and today, as then, all the company shares are owned by the family. Nowadays our cellars have a capacity of 15 000 hectolitres in cask, together with 2 800 000 bottles in our ageing cellar. Our annual sales average 1 200 000 bottles and exports represent 90% of sales. > JH. : Over the last 20 years there has been a rapid (and huge) upheaval in wine distribution. Worldwide, large wine and spirit groups have bought up the best importers and distributors essentially to ensure the commercialisation of their own brands. Family businesses are therefore obliged to search out their own niche markets in order to satisfy those who aspire to authentic products which respect the quality/price equation. Another change seems to me to be more dramatic: worldwide wine production has increased; cost-effectiveness encourages the marketing and consumption of ever-younger, more "technological" wines. Southern hemisphere countries (Australia, New Zealand, Chile, South Africa) automatically have 6 months advance on the traditional northern hemisphere wine regions in the race to sell younger wine, and they have the financial muscle to promote their philosophy. At Hugel, the transition from the 11th to the 12th generation took place in 1985, and not all the members of this new generation work in the firm. Could you say a few words about your major projects in the medium or long term? > JH. : To continue to remain conservative wherever quality is concerned and where the cost price is vital for our wines to represent optimum value-for-money. As wine is still produced from grapes, to pray for good weather and to attract loyal customers who appreciate our product and its ongoing quality tradition. > JH. : Each successive generation has been competent and hard-working. > JH. : Of course, but to keep this relationship alive it is necessary to communicate regularly and positively with our customers. > JH. : As our profession depends on the climate of the year, we must always use our knowledge of the past to try to predict changes in the future. Nothing we do can improve the natural quality of the grapes, and because we must maintain the typicality of our wines, whose quality is acknowledged by our customers, this rules out any revolutions. Which are the worse traps that your company must avoid in order to keep its independence? > JH. : In an expanding market we must develop gradually but not excessively. We must promote a product that nature has given us. The company must remain at a human scale and be financially transferable. In a profession that requires large investment, mostly long-term, we must never become dependant on the banks, but keep a close and prudent eye on the company's finances. > JH. : As we are a small business, whose capital consists largely of vineyards, there have not been too many problems. For the 12th generation (currently running the business) the problem of control has been settled. Now it is up to them to prepare and manage the transition to the 13th generation in due course. > JH. : So far, we have always chosen the best of the next generation, those who had the motivation to ensure the continuity of the business. In future, the core business and its various offshoots will not longer be totally controlled by the family members who are actually running the company, and so it is necessary, and vital for the survival of the firm, for agreements and pacts to be made between the different shareholders. > JH. : Yes, three Hugels from the 12th generation run the business, and several Hugels from the 13th generation already help out during their school holidays ! Do you have a message to communicate to all those who would like to start their own family business? >JH. : This is a wonderful challenge, but is it still possible or even imaginable in this 21st century where both creation and management seem increasingly to be motivated only by the possibility of short-term gain? My advice is to go ahead and create your family business, provided you are passionate about what you want to do and think long-term, in the hope that the next generation will be motivated enough to progress your dream.